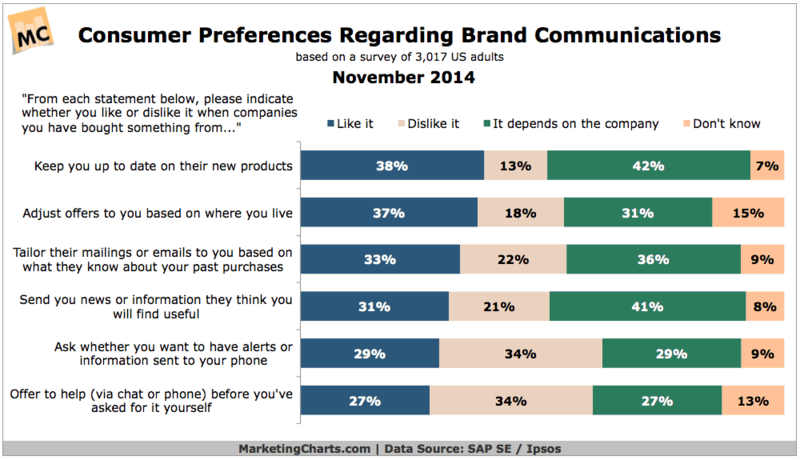 People are happy to hear from brands by email, but dislike offers of contact by phone. This suggests phones are strictly personal. Generating sales leads is best done using offline methods, according to research. But there are two standout methods of online lead generation that work. Major web companies are switching to advertising instead of subscription models. But that only works if you have hundreds of millions of users. Study shows that time spent on social media is related to sales. Most business are wasting their time on social media. You need to spend 40 hours a week. Nigel Farage of UKIP celebrates electoral victories demonstrating at the same time what politicians and online businesses fail to do well. Offline marketing brings many more leads than online marketing, But the quality of leads generated online is superior, says new study. Online success is linked to offline brand recognition which works best when it is a single word. Associate your business with one word. When people are presented with price choices on a web page they may choose the low price. To increase your profits use these techniques to get higher priced selection by customers. Internet marketers make some pretty dumb mistakes. Here are the top five failings and errors of Internet marketers. Company websites are no getting less and less traffic as people look elsewhere for business information. Focusing on a corporate website is a waste of time for many businesses. Rankings in “top 10” listing might seem fake and not worth the bother, but it appears they do have an impact on customer perceptions. You need to be in appropriate lists. Sites that demonstrate they are knowledgeable sell more than sites that focus merely on sales. This means having lots of content on your website which is not sales oriented. Customisation of websites means that people stick around longer and like your company more. Voucher codes only appear to work if there is instant gratification. Any delay in receiving discounted products makes people value them less. Internet marketing does not have an easy route; thorough planning and testing is required.